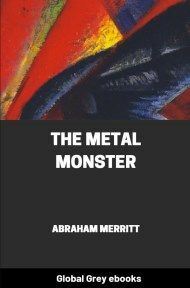 The Metal Monster is a fantasy novel by Abraham Merritt. 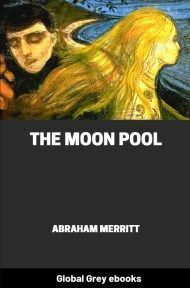 It was first serialized in Argosy All-Story Weekly in 1920 and features the return of Dr. Goodwin who first appeared in The Moon Pool. 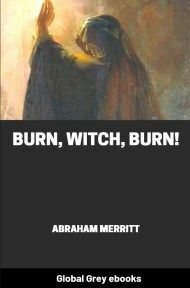 The story starts with a foreword where Merritt is assigned the duty to relay Dr. Walter T. Goodwin's incredible tale of his encounter in the Trans-Himalayan mountains to the world, to let everyone know the terrible fate Goodwin's group barely escaped from and the possibility of other such monsters out there. In this great crucible of life we call the world — in the vaster one we call the universe — the mysteries lie close packed, uncountable as grains of sand on ocean’s shores. They thread gigantic, the star-flung spaces; they creep, atomic, beneath the microscope’s peering eye. They walk beside us, unseen and unheard, calling out to us, asking why we are deaf to their crying, blind to their wonder. Sometimes the veils drop from a man’s eyes, and he sees — and speaks of his vision. 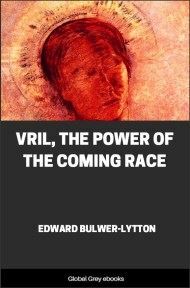 Then those who have not seen pass him by with the lifted brows of disbelief, or they mock him, or if his vision has been great enough they fall upon and destroy him. For the greater the mystery, the more bitterly is its verity assailed; upon what seem the lesser a man may give testimony and at least gain for himself a hearing. There is reason for this. Life is a ferment, and upon and about it, shifting and changing, adding to or taking away, beat over legions of forces, seen and unseen, known and unknown. And man, an atom in the ferment, clings desperately to what to him seems stable; nor greets with joy him who hazards that what he grips may be but a broken staff, and, so saying, fails to hold forth a sturdier one. Earth is a ship, plowing her way through uncharted oceans of space wherein are strange currents, hidden shoals and reefs, and where blow the unknown winds of Cosmos. 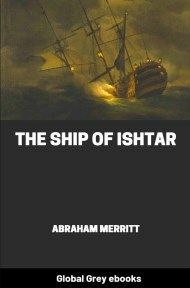 If to the voyagers, painfully plotting their course, comes one who cries that their charts must be remade, nor can tell WHY they must be — that man is not welcome — no! Therefore it is that men have grown chary of giving testimony upon mysteries. Yet knowing each in his own heart the truth of that vision he has himself beheld, lo, it is that in whose reality he most believes. The spot where I had encamped was of a singular beauty; so beautiful that it caught the throat and set an ache within the breast — until from it a tranquillity distilled that was like healing mist. Since early March I had been wandering. It was now mid-July. And for the first time since my pilgrimage had begun I drank — not of forgetfulness, for that could never be — but of anodyne for a sorrow which had held fast upon me since my return from the Carolines a year before. No need to dwell here upon that — it has been written. Nor shall I recite the reasons for my restlessness — for these are known to those who have read that history of mine. Nor is there cause to set forth at length the steps by which I had arrived at this vale of peace. 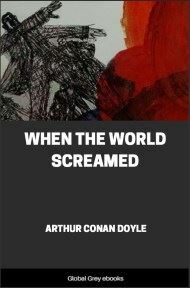 Sufficient is to tell that in New York one night, reading over what is perhaps the most sensational of my books — “The Poppies and Primulas of Southern Tibet,” the result of my travels of 1910–1911, I determined to return to that quiet, forbidden land. There, if anywhere, might I find something akin to forgetting. There was a certain flower which I long had wished to study in its mutations from the singular forms appearing on the southern slopes of the Elburz — Persia’s mountainous chain that extends from Azerbaijan in the west to Khorasan in the east; from thence I would follow its modified types in the Hindu–Kush ranges and its migrations along the southern scarps of the Trans–Himalayas — the unexplored upheaval, higher than the Himalayas themselves, more deeply cut with precipice and gorge, which Sven Hedin had touched and named on his journey to Lhasa. Having accomplished this, I planned to push across the passes to the Manasarowar Lakes, where, legend has it, the strange, luminous purple lotuses grow. 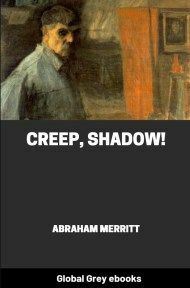 An ambitious project, undeniably fraught with danger; but it is written that desperate diseases require desperate remedies, and until inspiration or message how to rejoin those whom I had loved so dearly came to me, nothing less, I felt, could dull my heartache. And, frankly, feeling that no such inspiration or message could come, I did not much care as to the end. In Teheran I had picked up a most unusual servant; yes, more than this, a companion and counselor and interpreter as well. He was a Chinese; his name Chiu–Ming. His first thirty years had been spent at the great Lamasery of Palkhor–Choinde at Gyantse, west of Lhasa. Why he had gone from there, how he had come to Teheran, I never asked. It was most fortunate that he had gone, and that I had found him. He recommended himself to me as the best cook within ten thousand miles of Pekin. For almost three months we had journeyed; Chiu–Ming and I and the two ponies that carried my impedimenta. We had traversed mountain roads which had echoed to the marching feet of the hosts of Darius, to the hordes of the Satraps. The highways of the Achaemenids — yes, and which before them had trembled to the tramplings of the myriads of the godlike Dravidian conquerors. We had slipped over ancient Iranian trails; over paths which the warriors of conquering Alexander had traversed; dust of bones of Macedons, of Greeks, of Romans, beat about us; ashes of the flaming ambitions of the Sassanidae whimpered beneath our feet — the feet of an American botanist, a Chinaman, two Tibetan ponies. We had crept through clefts whose walls had sent back the howlings of the Ephthalites, the White Huns who had sapped the strength of these same proud Sassanids until at last both fell before the Turks.